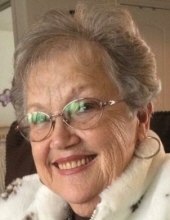 Margaret "Marge" Faye Hanlon of Byers, Colorado, passed away January 24th at the University Hospital in Aurora Colorado. She was born July 30,1942 in Altus, Oklahoma to James M. Turner and Faye B. Turner. She was the oldest of two. Marge attended school in Altus,Oklahoma until her sophomore year. Her family then moved to Strasburg,Colorado where she Graduated in 1960 and met her husband Albert Hanlon who she married August 5th, 1960. To this union was born Brenda Kaye on June 21,1962 and Cheryl Lynne February 2, 1964. Marge worked for John Deere, Byers State Bank and retired from the DTC as an accountant in 1997. She than helped her husband on the farm and spent time with her family. Albert and Marge in their 54 years of marriage enjoyed traveling to different places and loved being involved with family and friends. Marge was a member of the Auxiliary, the Senior group as well as the treasurer for the Seniors group. She is survived by her daughters Brenda (Bob) Wells and Cheryl (John) Eastwood and her nine grandchildren and 21 great grand children. To send flowers or a remembrance gift to the family of Margaret Faye "Marge" Hanlon, please visit our Tribute Store. Viewing will be prior to services at the church. "Email Address" would like to share the life celebration of Margaret Faye "Marge" Hanlon. Click on the "link" to go to share a favorite memory or leave a condolence message for the family.